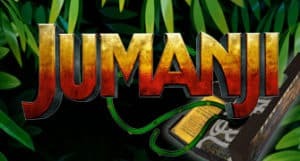 Jumanji Comes To Online Casinos - An exciting jungle slot is here! For those who enjoyed Jumanji at the box office and/or on DVD, there is exciting news on the horizon. The game has inspired a visually impressive 3D slot machine game that online casino players are already raving over. Players that have seen the movie will notice right away that the characters are used as the symbols on the reels. The other symbols used on the reels are represented by lions, pelicans, rhinos and crocodiles. Of the animal symbols, the lion is worth the most and can lead to big winnings. The scatter symbols are one of the highlights of the game. When players get anywhere from three to five of them on the reels at once they are transformed to a screen in which they are presented with a game board. Players win from six to eight rolls of the dice. Use these to move along the game board and collect prizes along the way. The next step in the process is for players to choose from one of four tokens and then move their chosen token the appropriate number of spaces on the board. There are seven potential rewards that players can get during this portion of the game. They are vines/monsoon/monkey and stampede free spins as well as the mystery feature, coin wins and extra rolls. 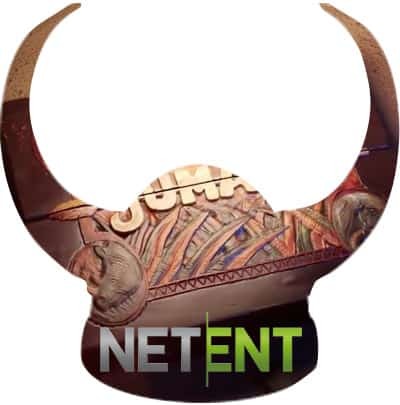 Stampede awards the fewest at five free spins while vines award the most at 10 free spins. The mystery feature presents players with a wheel that they can spin. The wheel will land on one of the features and that is what players win. Perhaps the best part of the Jumanji slot machine is its many bonus features. In addition to the free spin bonuses. With four bonuses, each of which is triggered randomly, players are on the edge of their seats anytime they are enjoying the game. The four bonus features are sticky vines, monsoon wilds, monkey mayhem and wild stampede. Sticky vines are a re-spin bonus in which regular wilds are transformed into sticky wilds and remain on the reels until the re-spin bonus has been completed. When a player gets a monsoon wild it means that a reel or two on the game screen will contain nothing but the wild symbol. The monkey mayhem is another feature. After it has been determined whether there was any winning combination of symbols on the reels, the symbols are moved to different positions in the hopes of either creating more winning combinations or creating some when previously there were none. During the wild stampede bonus, the spinning of the reels is accompanied by a group of rhinos. They are running from one side of the game screen to the other. When they do, anywhere from four more to nine more wilds appear on the reels. As such an action-packed game players don’t even have to be a fan of the movie to appreciate Jumanji as a slot machine. It pays to play this game for its amazing graphics and exciting features.